Want to learn more about our capabilities and technologies? Click to view our video. We unfailingly deliver quality products with shorter lead-times while providing first-rate customer service. We are an ISO 9001:2015 and PED 97/23/EC certified company, ensuring high quality service and products for our customers. Our lean manufacturing and sustainability principles allow us to deliver more value to our clients. Northern Stainless Corporation is a premier American casting foundry featuring a wide range of capabilities and technologies to perfectly serve our customers’ needs. Our facility is clean, organized and state of the art, allowing us to produce metal castings designed to any specification, whether the customer is a small business or a Fortune 500 company. We provide sterling quality products with on-time delivery at an unbeatable value. Our team of expert patternmakers, metallurgists, engineers, and foundry personnel produce metal castings up to one ton in size in a timely fashion, with assured excellence and at competitive prices. Short lead times and a service-orientated mindset are specialties at Northern Stainless. Our commitment to complete customer satisfaction means we’ll meet any request of a client. While we’re primarily known as a metal casting foundry, our engineering team has capabilities beyond casting. We also manufacture prototypes or produce one-offs, including core printing. To save our customers time and money on the casting process, MAGMASOFT for solidification modeling. Our newly acquired Bruker-Magellan spectrometer provides chemical composition analysis including Nitrogen for super duplex stainless steel alloys. We also regularly employ liquid penetrant inspection (LPI) for product defect detection as well as pressure testing 100% of pressure containing rough castings to avoid any castings that could potentially leak from reaching our customer. Northern Stainless chiefly produces components for OEM pump manufacturers. 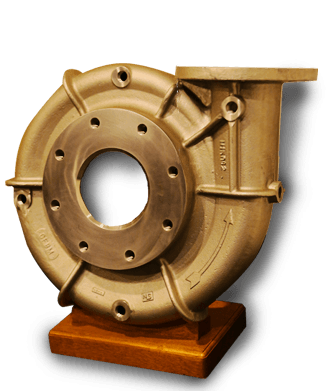 Our casting professionals cast any part needed for the hydraulic end of pumps including volute cases, impellers and diffuser bowls. To ensure consistent hydraulic pump performance, we utilize several sand core mixtures for exceptional finishes. 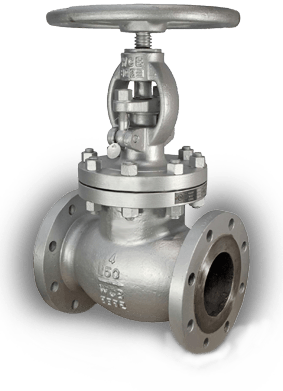 We also manufacture castings for valve OEMs, as well as non-pump products for the paper and mining industries. The majority of our products are rough castings which are ready for machining. We also supply finished machine castings when required by our customers. The facility at Northern Stainless is industry-leading with advanced capabilities in every aspect of foundry casting including microstructural analysis, the latest technology for core making and molding, prototyping and pressure testing. We are an ISO 9001:2015 and PED 97 /23 /EC certified company, ensuring high quality service and products for our customers. An expert sales staff, highly trained engineers and skilled pattern cutters allow us cut and design to any customer specifications. Our foundry also performs ASME Section IX certified weld upgrades, assuring the highest quality products available. 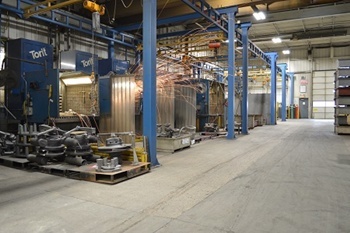 Northern Stainless is a highly adaptable, privately owned 60,000 square foot foundry located in Pewaukee, Wisconsin spread across two buildings and seven acres. 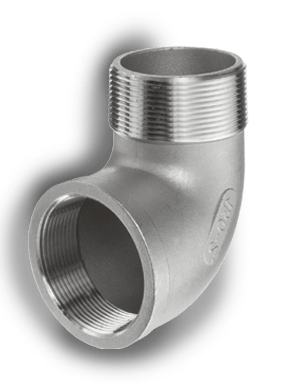 We specialize in short run, pressure-containing castings that have requirements in multiple grades of metal including iron, steel, stainless steel, nickel and bronze. While we do common alloys like CF8M stainless steel, we also handle tougher stainless steels likeCN7M (Alloy 20) and all super duplex grades as well as many of the more exotic Nickel Base alloys like CW2M, CZ100 and CX2MW. Our casting processes and procedures allow us to meet and exceed customer expectations every time, from the initial quote to the final release for shipping. Contact the United States stainless steel casting professionals at Northern Stainless today for premier casting products.